At Secondwind, we understand that a lot goes into properly managing a public water system. Aside from ensuring a system complies with complex federal and state regulations, a public water system operator needs to have a solid understanding of both the mechanics of the water treatment system and the chemistry of the water that flows through it. This was illustrated in a recent service call we received from a public water system in Barrington, New Hampshire. The PWS included two wells and storage tanks that served 44 homes. Both wells contained high levels of iron and manganese. The public water system operator received ongoing complaints from the residents about the quality of their water. More often than not, the water had a yellowish-brown tint. 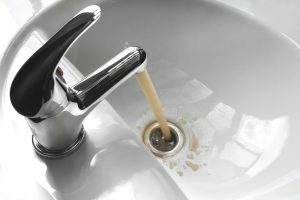 Aside from its unpleasing aesthetic, the metals in the water were staining the residents’ laundry, and causing problems with their faucets and fixtures, water-using appliances, and hot water tanks. “The manager of the community was in dire need of help,” says Steve Guercia, Commercial and Public Water Systems Manager at Secondwind. The problem had been going on for months. There were numerous complaints from the residents, who had lost all faith in the water they were receiving. “Most, if not all of the residents were either buying bottled water from the store, or manually filtering it before using it,” he adds. 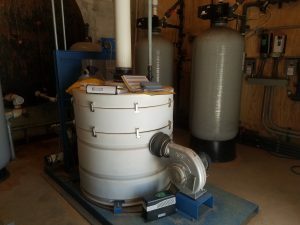 Interestingly, the community had a fairly extensive water treatment system, which was designed and installed by the public water system operator they had at the time. “The community manager felt that, although the PWS operator could handle routine maintenance, he simply wasn’t able to get the system to work the way it was supposed to,” Guercia explains. Secondwind sent a team of technicians to evaluate the untreated water and take a look at the community’s water treatment system. “Turns out they had the necessary equipment, but it wasn’t properly configured or adjusted,” Guercia notes. The team spent a day onsite—running and testing the water and making adjustments, and running and testing and adjusting again—until the system was able to properly treat the water. 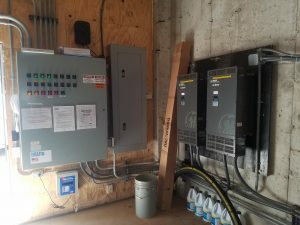 Because of the Secondwind team’s extensive knowledge and experience, we were able to fix the existing system in just one day. They had all the right equipment, it was just not set up properly. “The team was able to do this because we understand water chemistry, the mechanics of how water treatment works, and how flow rates and flow volume affect treatment systems,” Guercia notes. 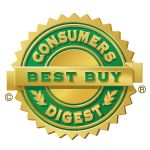 “The customer was thrilled that he didn’t have to buy any additional equipment,” he adds. “Successful water treatment requires a balance of mechanics and chemistry. If either is off, treatment will fail. This case study was a great example of this,” Guercia explains. Secondwind is New Hampshire’s leading provider of public water system operator services. We provide a variety of PWS services, from a simple, safe operations plan, to a comprehensive 24/7 remote monitoring program. 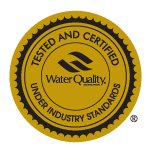 If you need help managing your pubic water system, contact us for a free site evaluation.